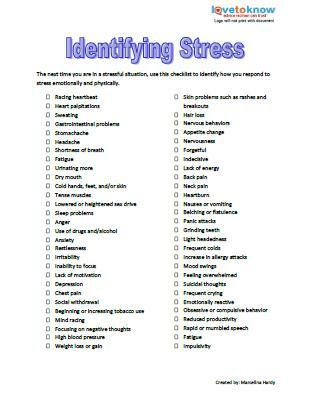 A stress management PDF can help you teach other people how to manage their anxieties. Many people need guidance to understand what causes them stress and how to decrease it with stress management techniques. A printable stress management PDF will help people learn how to lead a much more relaxing life. Three types of worksheets are available for download: Identifying Stress, Identifying Stressors, and Stress Management Techniques. The first thing that men and women need to learn is how to recognize when their stress levels are high. Being aware of the physical symptoms of stress, as well as the emotional changes that accompany physiological responses, can help people identify when they experience stress. Once people know when their stress levels are high, they are able to relate it to situations that cause them that stress. This can be difficult in circumstances in which people have smaller stressors burying the larger stressors that has the most impact. Once people can relieve smaller stressors, they can start to deal with more painful situations, which then can be dealt with in an effective manner, such as with stress management techniques. In more severe cases of trauma, an individual may also benefit from psychotherapy. Once people know what stresses them out, they can start to learn stress management techniques to offset the effects of stressors. Not all techniques work on everyone so it's important for people to try different ones and find out which ones work the best for them. A printable stress management techniques worksheet can help people keep track of which techniques they have tried. 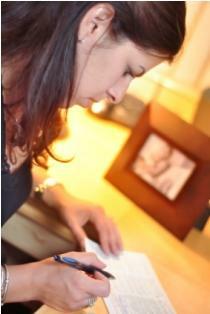 It's best to use the worksheets in order, starting with the Identifying Stress and then the Identifying Stressors and Stress Management Techniques. This way, people will understand their stress fully before working on reducing it. Some people may become overwhelmed and discouraged if they receive all worksheets at once. However, if you have no choice but to use them all at once, just instruct to work on one worksheet completely before proceeding to the next one.